What else does the Nokia Lumia 920 do better than the iPhone 5 and the Samsung Galaxy SIII? Well, Nokia thinks that you should add “maps” to that list. As the smartphone wars continue to intensify, each manufacturer is looking for kinks in their opponents’ armor; at this point, no disadvantage is too small to exploit. Nokia has seemingly found one vulnerability and has chosen to attack, saying that their mapping applications are significantly better than those of their competitors. “Unlike our competitors, which are financing their location assets with advertising or licensing mapping content from third parties, we completely own, build and distribute mapping content, platform and apps. CNETsays in their report that this was clearly “thinly veiled jabs” at the the iPhone 5 and iOS 6 which is “under fire for the troubles of its new Maps application.” iOS 6 recently replaced Google Maps with their own version that has, unfortunately, less details than the Google version, incorrectly identifies or duplicates locations and has a host of other problems that has gotten a lot of users upset. 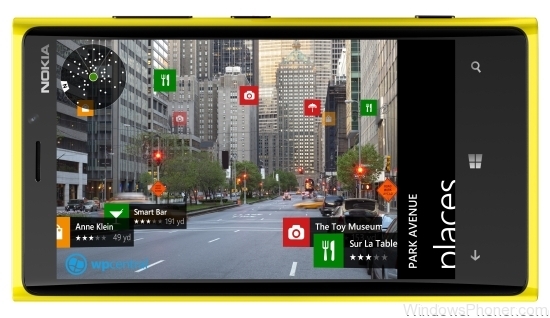 Is Nokia’s maps another reason to check out the Lumia 920? Or are you satisfied with the versions from Google and Apple? Share your thoughts in the comments below!